Without a doubt, good habits are best taught from an early age. This includes everything from manners and healthy eating to – you guessed it – dental hygiene. 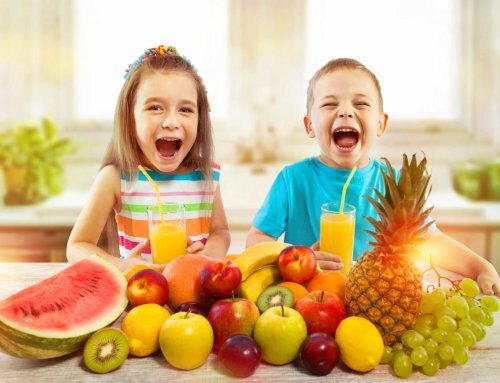 Getting your child to brush their teeth and avoid sugar is a great start, but it isn’t enough; for real oral health that will last a lifetime, you need to teach them to floss as well. Sound like a tough task? 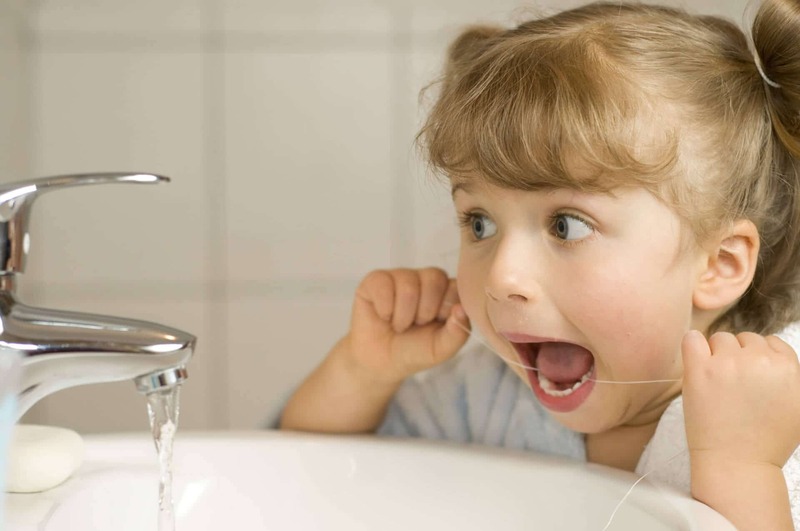 Never fear, this guide to “flossing for children” will show you everything you need to know! According to a report from the American Dental Association (ADA), 20 percent of Americans do not floss. Of those that do, only four out of every ten flosses at least once a day. That leaves a huge gap (pun intended) in the number of people practicing proper oral health care in the United States. If you add in the fact that over 30 percent do not brush their teeth twice daily, a troubling picture begins to form. If you were to ask the majority of non-flossers why they do not floss, you would likely hear the same response: they did not grow up flossing. Unfortunately, this overlooked step in dental hygiene can lead to an adulthood laden with health issues. 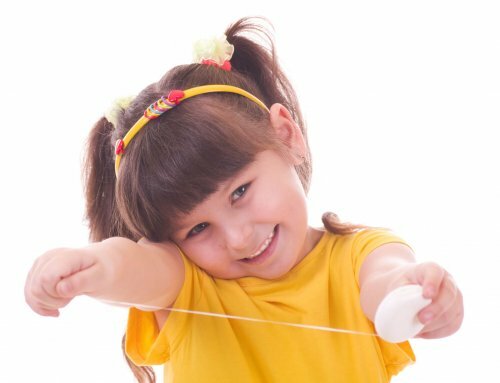 One of the benefits of flossing for children is that it helps to clean the spaces in-between their teeth. These tight spaces are great breeding grounds for bacteria. 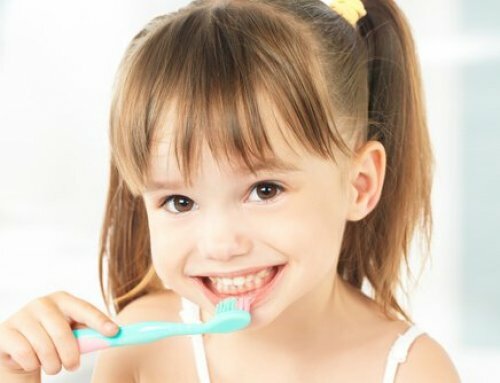 Toothbrushes cannot effectively dislodge food particles that get lodged in your child’s teeth; their job is to clean the surface of teeth and gums. Antibacterial mouthwash, meanwhile, can help kill off the bacteria, but cannot remove debris and tarter build-up. This is why flossing is so important. Floss is what is known as an interdental cleaner. Its job is to specifically clean between teeth, where a toothbrush cannot reach. In addition to helping keep your child’s pearly whites looking beautiful, flossing also helps prevent diseases; diabetes, heart disease, and respiratory illness are all connected to poor dental health. When you first start teaching your child to floss, be prepared to do most of the work. Between the ages of two and six-years-old, your young one’s teeth will begin to grow together. When this occurs, you will want to start getting them into the habit of flossing every day. Once they grow older and start to develop better motor skills, you can transition them to flossing on their own. As with most teaching experiences, you want to keep the experience light and stress-free. Have fun with it! When choosing floss, make sure you purchase a soft floss to avoid any pain or irritation. Flavored varieties and different colors can make the process more interesting and add variety to the daily routine. From a technical perspective, measure out a foot and a half of floss. Lightly wrap it around your both of your middle fingers until you have an inch of floss remaining. Next, slide the string between your child’s teeth using your thumb and index fingers. Make sure your grip is tight so that you maintain control of the floss. Finally, form a “U” or “C” shape around one of your child’s teeth. Slowly, and very gently, move the floss up and down each side of the tooth. Be certain to go all the way down to the gum line. Repeat this process for each tooth in your child’s mouth, using a new section of floss each time. If bleeding occurs – it most likely will – do not panic. Bleeding gums are common when you first begin to floss. After a week your child’s gums will grow stronger, and the bleeding should cease. If it does not, consult your dentist. Once your son or daughter are old enough to begin flossing on their own, simply teach them the same technique. If you consistently floss your kid’s teeth, you will find that the “habit” will become ingrained in them. How Often Should My Child Floss? Just like adults, children should floss their teeth at least once a day. Plaque takes around 24 hours to form on teeth, so flossing once daily is plenty. Some parents ask whether they should brush before or after flossing. The truth is, so long as you use the proper dental technique, it does not matter which option you choose. Another common question we get asked is, “how long should my child floss?” On average, you should not spend longer than two minutes flossing your teeth; this should allow you plenty of time to clean between each tooth. Do you have questions that we did not answer in our guide to flossing for children? 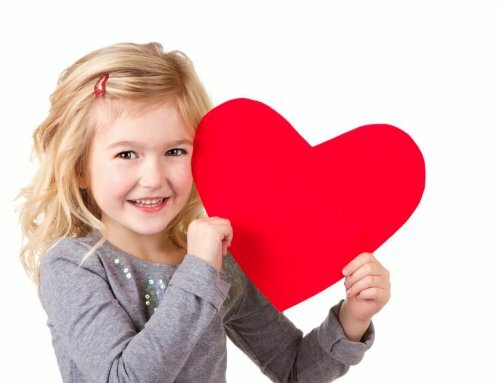 Need more information about pediatric dentistry? Visit our page for frequently asked dental questions!